This is Eline Hofstra. 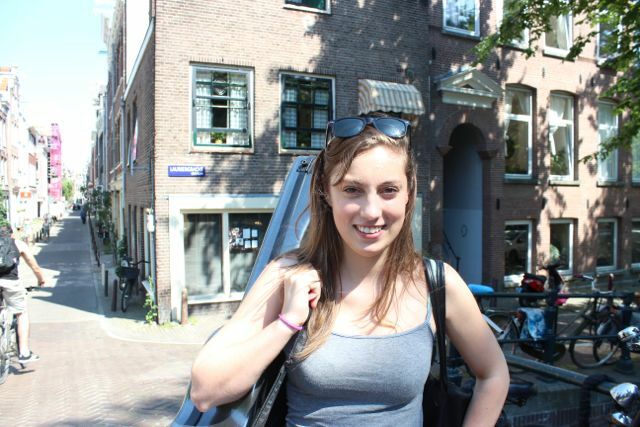 She is a student at the Koninklijk Conservatorium in Den Haag where she studies with Enno Voorhorst. I know she plays beautifully because every now and then she comes to our house to try out a new program or to rehearse for competitions. I have known her since she was a little girl and I have seen her growing up into this charming young lady. This picture was taken last Summer when she came by to have her guitar repolished. At the end of the month she will celebrate her 21st birthday!